As I started this amazing adventure with TPT near the end of 2012, I never dreamed that I would be hitting one of the milestones that I had read about other sellers reaching. In January 2014, I hit the first milestone and I was overjoyed and so thankful. One year later, I have reached the second milestone and I can't even begin to explain how fortunate and thankful I am. This journey has been amazing and I have to tell you that I have learned so much from all of my followers on Facebook, my blog, Instagram, and those that buy my products. I read every single piece of feedback and every single comment. I have learned many things that have actually made me a better teacher. I have become more precise and professional in many ways. 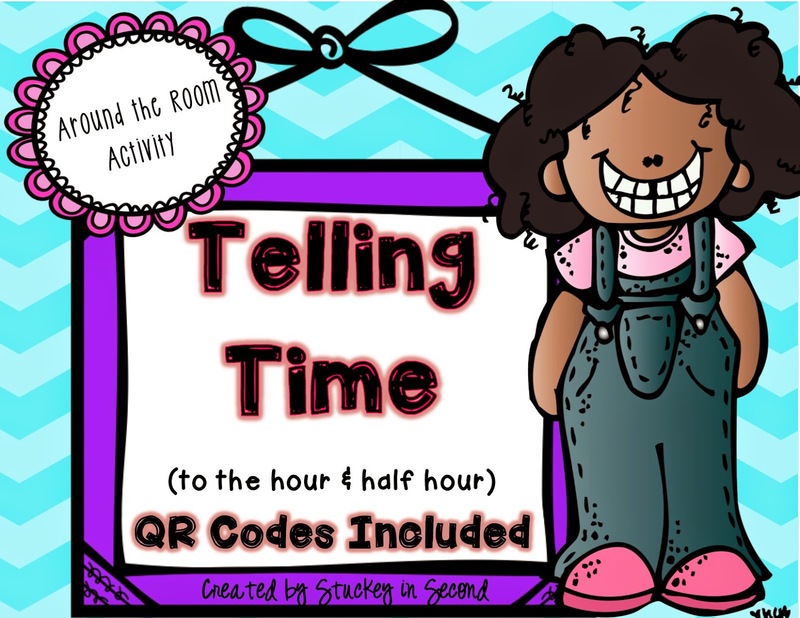 Although I create things to use in my own classroom, then share them with others on TPT, I also purchase MANY things from other TPT sellers and teachers around the country! I can hardly stand to look back at my teaching before I started utilizing TPT! The resources that I have collected from all of the amazing sellers around the country are amazing and have TRULY changed me as an educator! My family and I THANK each and every one of you that read my blog, follow my Facebook page, follow me on Instagram and follow me on TPT. All of your support is noticed every single day. This "second job" of mine is truly a passion. I am completely in love with creating products and sometimes I wonder if it's addicting! 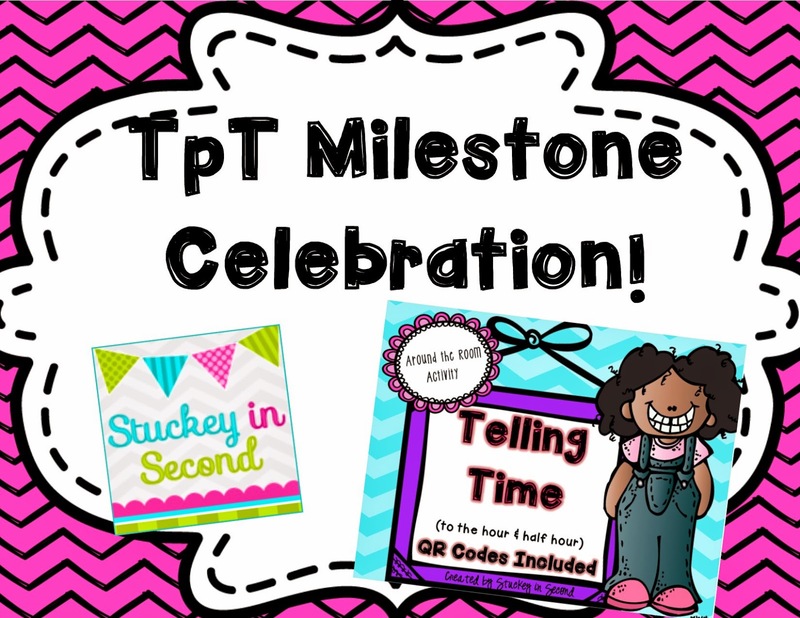 To celebrate this milestone, TPT has mentioned my STUCKEY IN SECOND store in their weekly newsletter/blog post. Also, I have marked a product to FREE for the entire week. This is a limited time freebie, so scoop it up while you can! I love using QR codes in the classroom, but this can be used even if you don't have devices with QR code readers in your classroom. You can simply use it as an AROUND THE ROOM activity!!! Again, this is free the week of February 8th, 2015. If you are visiting my blog post after that date, thank you! This item will still be available, but not for free after that limited time. Please check out my store for plenty of other freebies! This honestly has been a difficult post to write because I don't know how to truly explain how thankful and grateful my family and I are. Not only have I hit another milestone in sales, I have actually hit a milestone in my life and career. I have developed a passion for creating materials, I've discovered my own creativity, and I've truly accomplished something that I had no idea I could ever do. If you asked me about all of this ten years ago, when I started teaching second grade, I would have had no idea what a blog even was! Congratulations! What a wonderful achievement and a great post. I wish you continued success. Congratulations on this amazing achievement!!! You have amazing products and are very talented!! !